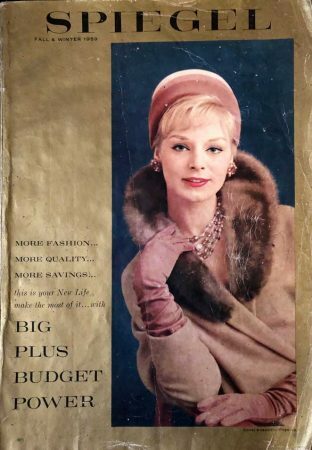 The idea of buying dogs from a catalog makes one queasy these days, but 1959 was a different era when we were less sensitive to the animals and their surroundings. One hopes they were quality breeds and well treated — the 1959-era prices weren’t cheap. 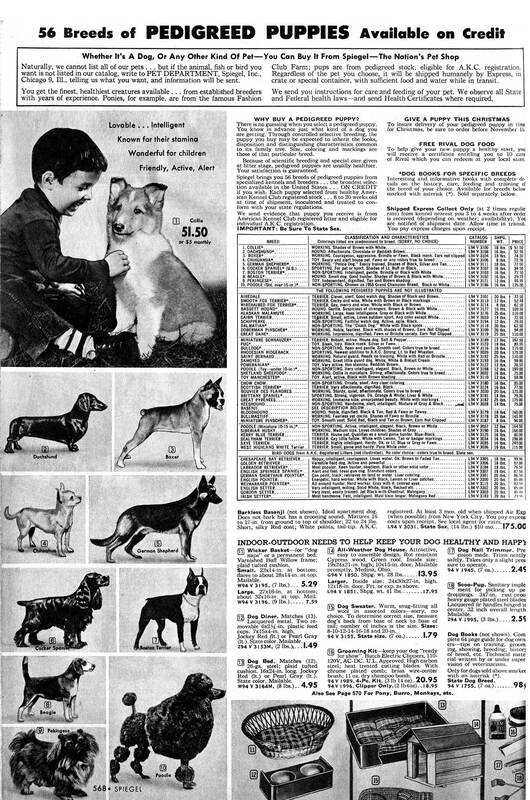 $249 for a Sealham Terrier? Woof! Zoom in to see your options. 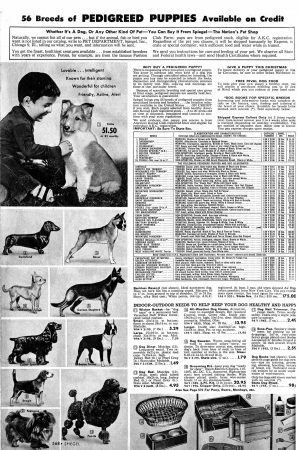 If one of their 56 available dog breeds wasn’t your thing, you could purchase other pets through Spiegel, including ponies, fish, or birds, and have them shipped right to your door. But what most kids wanted for Christmas in 1959 was a collie, and you can attribute that directly to the TV program “Lassie.” Starting in 1954, for the next 19 years “Lassie” was a huge TV hit along with his various masters and families. 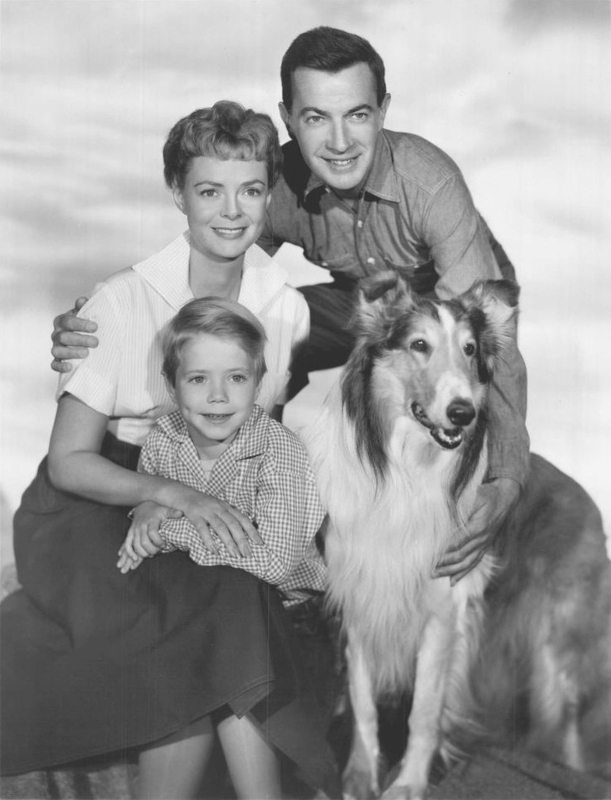 Although long gone from network screens, Lassie is the fifth longest-running U.S. primetime television series. That’s 133 years in dog years.